Have you ever had noodles cold? I mean chilled and refreshing to enjoy with every bite. If your answer is no, then you must give this simple recipe a go. This cold noodle dish only takes a few minutes from start to finish and ready to eat. Japanese soba noodle is a great way to enjoy your next meal. When you hear Soba noodles you think of Japanese right away. But have you though of what is the difference between Soba noodle and your regular egg or rice noodle. Some people describe Soba noodle to have a unique flavor or taste, so may not be liked by everyone. The reason for this difference of taste is the ingredients used in making this noodle. Soba noodles are made from Buckwheat. It is fat- and cholesterol-free and are a good source of nutrients like manganese, lean protein, carbohydrates and thiamine. Since buckwheat does not contain gluten, buckwheat noodles are a good choice for people following a gluten-free diet. But if you don’t mind the gluten then feel free to use any noodles of your choice This quick and easy recipe is great for those hot summer days. Say bye bye to burning your tongue eating noodles. Give this Japanese style cold soba noodle a try and you won’t regret it at all. 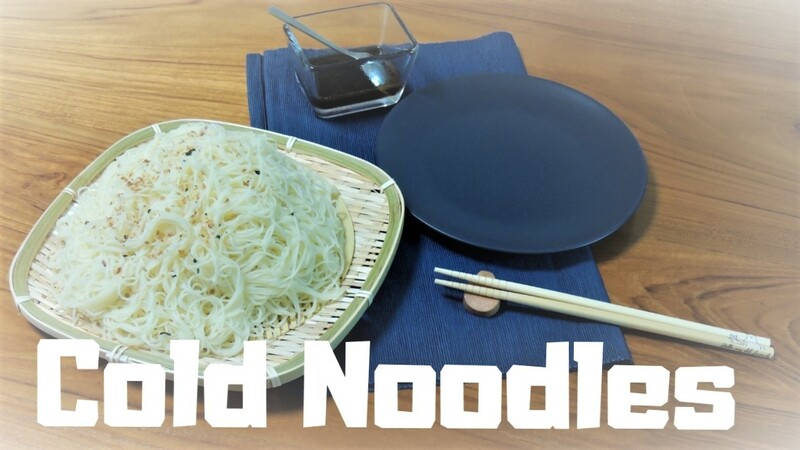 One last note, make sure you dip the noodles in the sauce when you want to enjoy this delicate cold noodle dish. Enjoy!